The Supreme Court on Tuesday observed that while the power of superintendence and control of elections as vested in an Election Commission under Article 324 is only general, Article 102(1)(e) specifically envisages a ground for disqualifying one from being chosen as or being a MP to be prescribed by a law made by the Parliament. 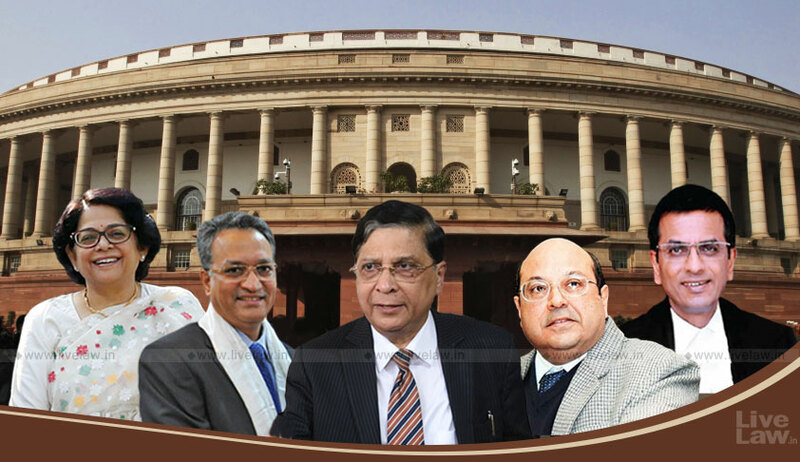 The five-judge bench headed by Chief Justice Dipak Misra was considering the plea for constraining from contesting elections those candidates against whom criminal charges have been framed. Senior Advocate Dinesh Dwivedi, appearing on behalf of ‘Public Interest Foundation’, a petitioner-organisation, attempted to persuade the bench to pass directions for the disqualification of candidates against whom a chargesheet has been filed or charges have been framed by the court. He cited how the court has set the precedent with the Vishakha case and in stipulating the anti-ragging guidelines. The bench noted that the law in this behalf is not silent; that the law so enacted by the Parliament, being the Representation of People’s Act, provides for disqualification upon conviction. It may be noted that at the previous hearing, the bench, in view of the principle of separation of powers and the consequent “Lakshman Rekha” between the Legislature and the Judiciary, had been Disinclined to “exhort the Parliament” to lay down a law for disqualification of candidates who are facing serious charges. In his turn, Senior Counsel Krishnan Venugopal, for Advocate and BJP leader Ashwini Kumar Upadhyay, advanced that alternatively, the court could direct the EC to restrain political parties from granting tickets to or accepting support from independent candidates with criminal antecedents. Referring to the Election Symbols (Reservation and Allotment) Order, 1968, he continued that the assignment of an election symbol to a recognised political party be rescinded if it is found in violation of such a mandate of the EC. The idea of strengthening the parameters of qualification so as to debar candidates with a criminal record from qualifying for contesting elections found favour with the bench. In as much as section 29A of the RPA provides for registration with the EC of associations and bodies as political parties, the bench considered requiring members of a political party to affirm on affidavit that their record is untainted and if the statement is found to be false, the party shall bear the brunt, its registration being conditional on it. The hearing, on Tuesday, witnessed Advocate Gopal Sankaranarayanan seek inspiration from the pictorial and textual warnings printed on the packets of tobacco products in suggesting that the EC require political parties to disclose the criminal antecedents of their candidates on the posters and banners used in campaigning.